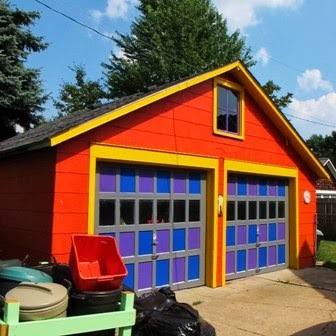 Does your wife refuse to step foot in your garage? Is she afraid to get tetanus from all your wayward nails or a concussion from your hastily-hung shelves? If you'd like to ease her suffering like a good, thoughtful husband, here are five ways you can simply and effectively organize your garage. Forget about the clunky, one-compartment toolboxes that you played with as a boy. It's the 21st century, and modern toolboxes now come with everything from multiple stacking layers to foldout shelves. Your work bench is the center of your garage, but if you aren't careful, it can also become your biggest hindrance to progress. If you find yourself awkwardly navigating around it or wishing that it was bigger/stronger/more easily moved, it may be time to throw the old model away and start again with something completely new. Cabinet storage is one of the best ways to get your equipment off the bench and into an organized system. You can even buy rolling cabinets for extra maneuverability or countertop cabinets for a workspace on top of your tool storage! 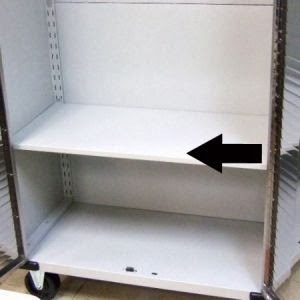 Capable of holding everything from car batteries to half-empty paint buckets, you shouldn't underestimate the value of a good shelf. Stack them high to create your own garage "closet." Do you routinely misplace your hammers and wrenches? Instead of leaving them scattered across the garage, start hanging them on the wall, either with a pegboard or just an assortment of appropriately-sized nails. Spice up your cooking with four fabulous liquor and heat spices from Tonguespank Spice Company! This Complete Collection includes 2oz each of Smoky Bourbon Table Blend, Garlic Grappa Table Blend, Citrus Rum Table Blend, and Scorpion Bourbon Table Blend. Read my review HERE, then enter below to win the Complete Collection, ARV $39.00. 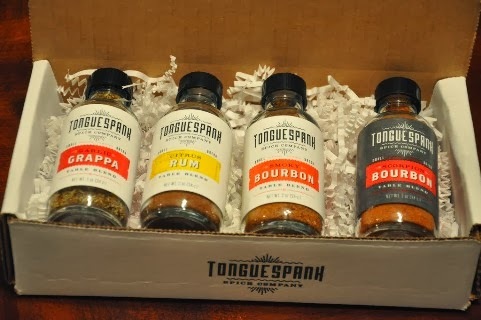 Win the Complete Collection of Tonguespank Spices! To enter, just fill in the Rafflecopter form below. You must be at least 18 years old and reside in the USA. Only the first entry is mandatory; bonus entries increase your chance to win. Giveaway ends at midnight on 2/23/2014. Good luck! I just finished reading The Power of Twelve by William Gladstone and it's an amazingly interesting story concept. When the Mayan Calendar ended in 2012, humans shifted towards a more humanistic existence. Most of them anyways. There was one man, Arnold, whose ideas tended more toward violence and total control. The Illumnati, a colorful cast of characters plans to stop him in order to bring forth a more positive shift. If they cannot stop him, all life in the universe (including the alternate planets) may cease to exist. The Twelve have special powers including being able to coexist in a human. The story has some rather interesting twists and turns, as well as some characters whose names you might recognize, like that of George W. Bush. And who would have thought there could be an interaction with Mother Mary? It's very well-written, entertaining, intriguing, and ended way too quickly. I loved the descriptive way William Gladstone writes because it helps readers feel as though they are there too. I encourage you to read it! Preheat oven to 350 degrees F. Spray cooking oil into a 9"x13" casserole baking dish. In the baking dish, combine all ingredients and stir well. Cover with aluminum foil and bake in oven at 350 degrees F for 45 minutes. Stir before serving. Serves 4. Extremely easy to make. Delicious! I am so excited to tell you about Kid and Shirt. It's a brand new platform where kids will be able to design and sell their own tshirt designs. Even better, it teaches them about charity because a portion of their sales goes to help a kids' charity of their choice! It's a very simple process. 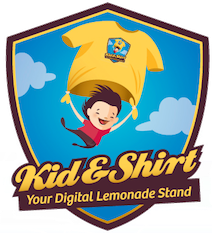 Kids and parents can sign up for a free account at www.kidandshirt.com. Then kids create their masterpiece artwork and either upload or mail the design, which will be turned into products like tshirts, hoodies, mugs, caps, backpacks, phone covers, skateboards and more. Then kids and parents can encourage friends and family to shop online. Kid and Shirt will do all the work of printing and shipping, and the profits go right into the child's account. Kids will to learn how to be an entrepreneur, an artist, and a charitable giver! Visit www.kidandshirt.com to learn more and to sign up for updates so your child can be one of the first to participate! You can also email them through their contact form if you're interested in helping support them. Be sure to follow them on Facebook and Twitter too. No girl should be without scarves in her accessory stash. A fashion scarf can be worn so many different ways and it can totally change the look of an entire outfit. I absolutely love the Tickled Pink Scarves at Charm of Dresden, especially this Ruffle Raspberry scarf I received for review. The material in this scarf is so soft and the ruffles give it so much personality. It is a very high quality scarf and was made flawlessly. It is long enough for a double wrap and can even be worn around the waistline to create a soft belted look with a dress. The color is awesome and will work for any season! I wore it here by starting with a longer loop around the front, pulling both ends around the back of my neck, and then feeding the ends of the scarf through the front loop to hang down in front. It's a perfect way to wear a fabulous scarf without a knot and it accentuates the ruffled look. Go see all the beautiful Tickled Pink Scarves at www.charmofdresden.com and be sure to check out their jewelry, bags, hats, and tons of other accessories. You can also follow them on Facebook and Twitter so you're first to hear about brand new products and special promotions! $25 Gift Code to Hande Made It! Hande is a jewelry designer in Istanbul who makes very unique handmade jewelry. Look at these beautiful bracelets I received for review! These beautiful bracelets, as well as many other items, are available in her Etsy shop. I love her designs and the quality of her materials is top-notch. and Like her page on Facebook at https://www.facebook.com/HandeMadeIt. Win a $25 Gift Code to shop at Hande Made It! Giveaway ends at midnight on 2/15/2014.